Iliotibial band syndrome (ITBS) is an overuse problem that is often seen in cyclists, runners, and long-distance walkers. It causes pain on the outside of the knee just above the joint and can run up to the hip. It rarely gets so bad that it requires surgery, but it can be very bothersome. The discomfort may keep athletes and other active people from participating in the activities they enjoy. 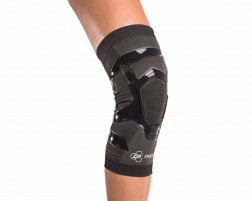 People typically find relief in wearing a brace to help reduce some of the pressure being applied to the knee. Cold therapy, foam rolling, and strengthening exercises are also effective home remedies for treating IT Band pain. Need help selecting a brace for IT Band Syndrome? Use Brace Advisor, a guided tool to help with selecting the right IT Band support for you based on your need and activities.